Futura is a cyclist, a self-proclaimed cyclo-tourist, who made his mark on the world with a can of spraypaint and a marker. Now his work is world-renown and constantly evolving. Descente‘s cycling and outerwear line is also in flux; shifting the new breed of urban cyclists who want fashion with their function. 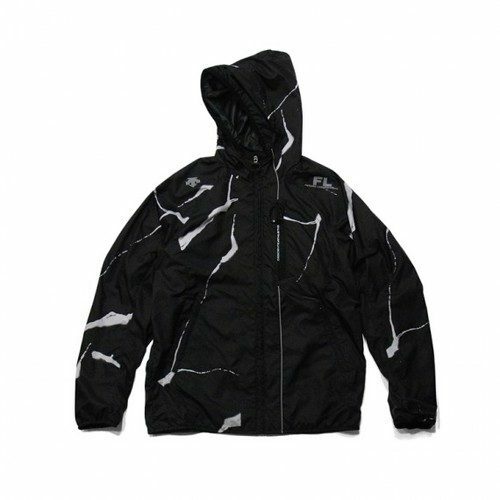 Hence this latest collaborative effort between the NYC-based artist and the outerwear company. I think it’s a really well done jacket and it packs into a small carrying case. It’s not cheap, but that’s the name of the game. Check out more photos at Freshness.